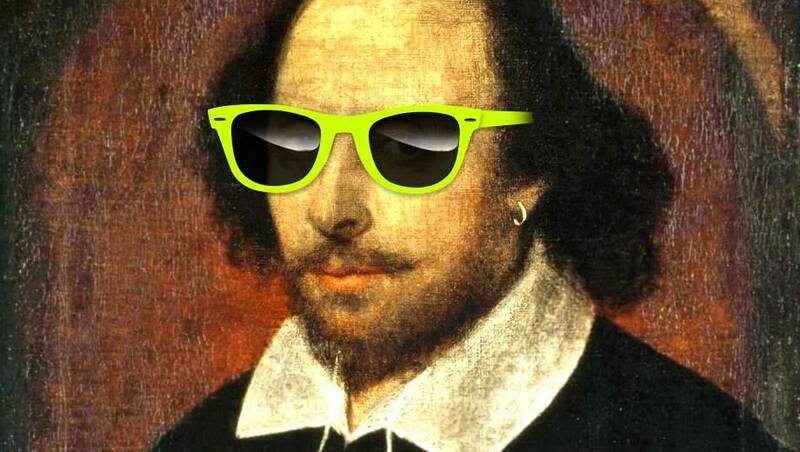 Jan. 28: Join a local group of actors/artists for an afternoon of Bard Appreciation: Performances, music and an invitation to bring your own favorite work of Shakespeare’s to read and share with everyone. 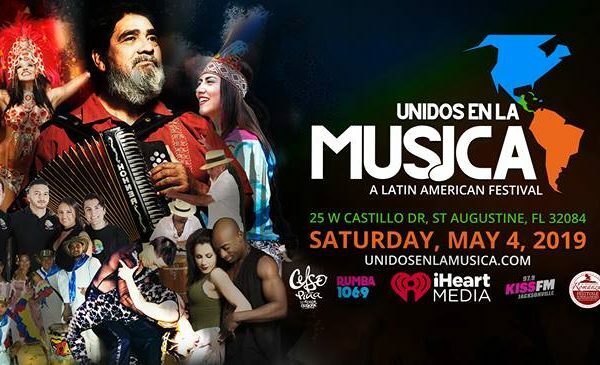 The event will be from 2-3 p.m. in Crisp-Ellert Art Museum, 48 Sevilla St., on the Flagler College campus. Admission is FREE. Find out more in the Facebook event. 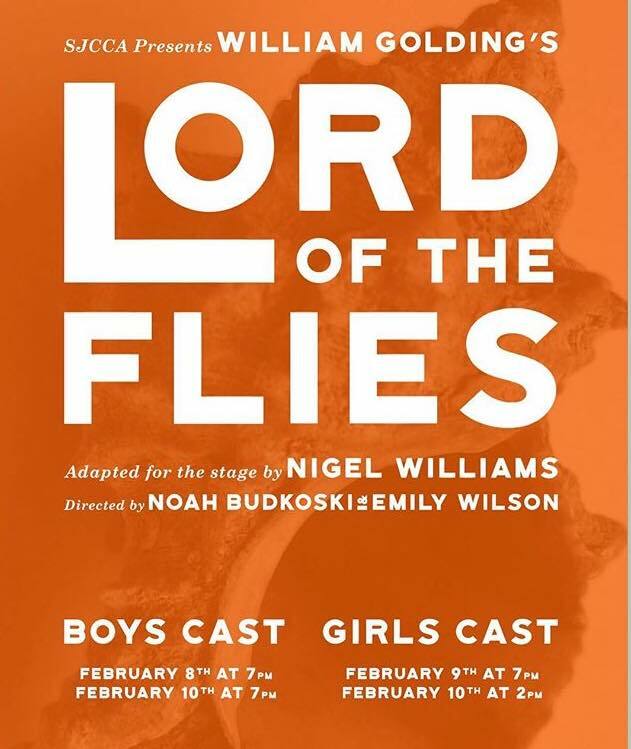 Feb. 8-10: St. Johns County Center for the Arts at St. Augustine High School presents Lord of the Flies, with an all-female and an all-male cast with separate performances. In Lord of the Flies, William Golding gives us a glimpse of the savagery that underlies even the most civilized human beings. This version is adapted for the stage by Nigel Williams. TICKETS: Available at the door open hour prior to each performance at St. Augustine High School, 3205 Varella Ave., St. Augustine. 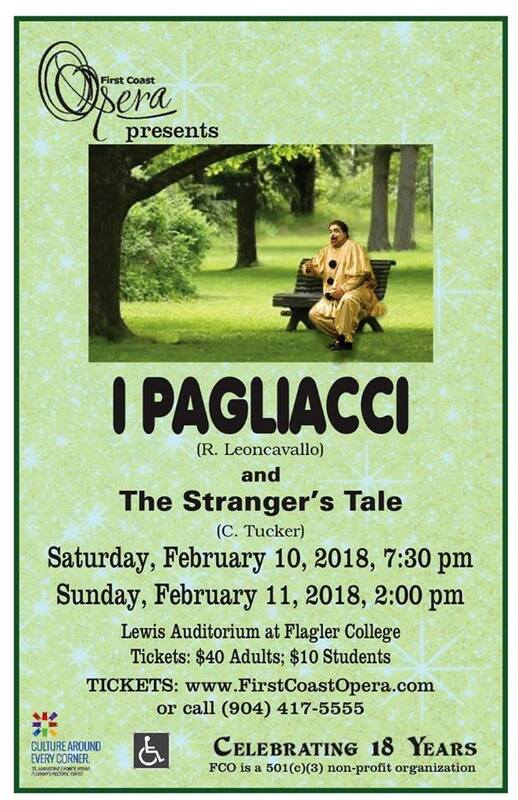 I Pagliacci will feature returning artists Jamison Walker singing the famous aria “Vesti la giubba”, Sarah Beckham-Turner as Nedda, Sean Christopher Stork as Tonio, and Daniel Harry Bates as Beppe. An exquisite, emotional story of longing, love, and betrayal… a timeless story of woman’s strength and courage. 1905…New York City. An illiterate black seamstress lives in a boarding house for women and sews intimate apparel for women of all backgrounds. Lonely and longing for a husband and a future, she has saved a good amount of money for her future. 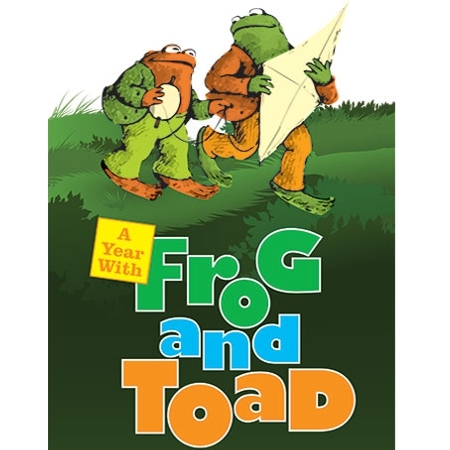 Feb. 22-24: The Murray Players present A Year with Frog and Toad. Arnold Lobel’s classic children’s’ stories come to life on the Murray stage as St. Johns County Center for the Arts (at Murray Middle) performers sing and dance their way through four seasons of fun and friendship with Frog and Toad. Stay updated in the Facebook event. Thespian, Arrested. A True Story. 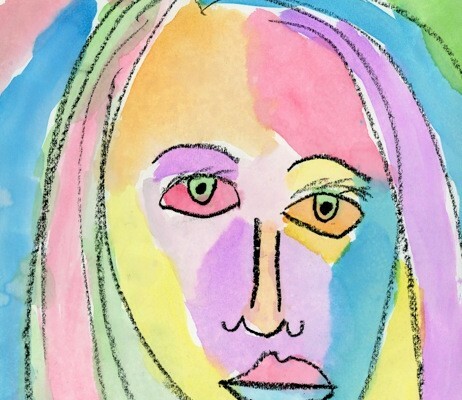 Feb. 23-24: Hilarity ensues when Shari, drama teacher, is arrested for being a Thespian. This is a comedentary (comedic documentary) of a true and wild story about unjust arrest. A local cast of St. Augustine locals will be on stage in this show! 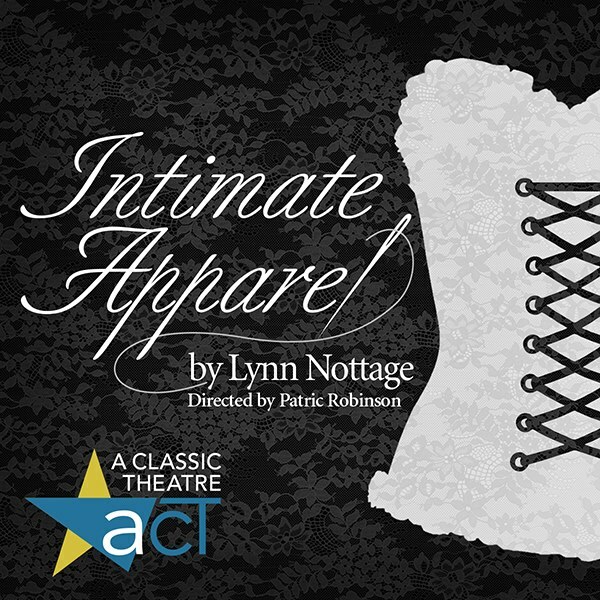 This show is staged in Limelight Theatre, 11 Old Mission Ave., uptown St. Augustine. See show time and ticket info below. Stay updated in the Facebook event.